It’s been almost a year since The Orville season 1 came to an end, but the sci-fi comedy is returning to Fox in just over two months. On Sunday, Fox dropped a new teaser for The Orville season 2. While some of the clips previously appeared in The Orville‘s Comic-Con trailer, it still offers a taste of the new adventures yet to come. In terms of story details, there’s not a lot to go in this video. 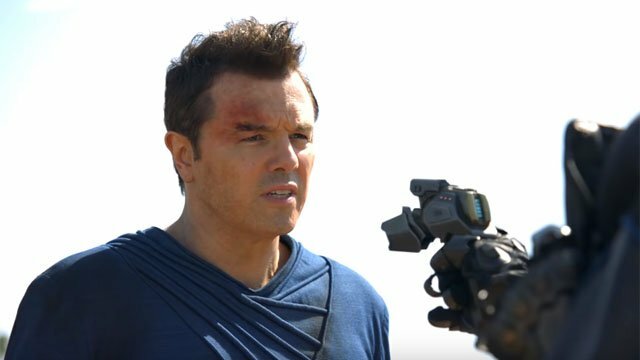 We can assume that Seth MacFarlane’s Captain Ed Mercer will be separated from his ship, as the crew sets out to find him in one of the clips. Presumably, Mercer’s attempt to talk down an alien holding a gun on him is from the same episode. There may also be new enemies on the horizon as Mercer and his crew travel the galaxy. Of course, the show’s signature sense of humor appears to be intact. However, this trailer definitely seems to be playing up the sci-fi adventure aspects of the show. The Orville season 2 will premiere on Sunday, December 30 on Fox. New episodes will them resume on the series’ Thursday night timeslot. You can watch the new trailer below, then leave a comment and let us know what you think! The post The Orville Season 2 Teaser Puts Captain Mercer Under the Gun appeared first on ComingSoon.net.